Recently, Mark Zuckerburg’s company, Facebook, was put under a lot of criticism owing to privacy issues. Concerning the same, Facebook issues a long statement of apology. If this revelation has made you anxious, then you know the seriousness of data privacy. Although one way to ensure online anonymity is to change IP address. As per an investigation, data from Facebook was used to take advantage during the US elections in 2016. However, it is not yet clear how Cambridge Analytica got the details of Facebook users. Cambridge Analytica is a consulting firm in the United Kingdom. The blame game is on. According to Chris Wylie, the former Cambridge Analytica employee, the Facebook scandal affects considerably more than the reported 50 million users. Most people look up ways to change IP online. Wondering how this will help? Look, you have a permanent address for your home right? This address helps to track and locate you. Similarly, you have an IP address. This allows identifying your exact location and other details when you browse the internet. Now IP addresses are important. For example, your government may be blocking certain websites. If you are accessing these websites from your original location, you cannot open them. This is because of your IP address. Once you change IP address to the location where the content is legally available, you can successfully bypass the restriction. For example, if some sports event is not accessible at your location. However, it is available in Norway. Simply use Le VPN’s Norway VPN IP address. And hoopla! You can instantly unblock the websites. Now, why would you want to change IP? The thing is, all IP addresses come with a download limit. The only way for you to bypass this limit would be to change IP address. Also, by changing your IP, you would be able to access certain inaccessible websites. Additionally, you can download the content anonymously. Using a VPN is an easy and affordable method to change IP. 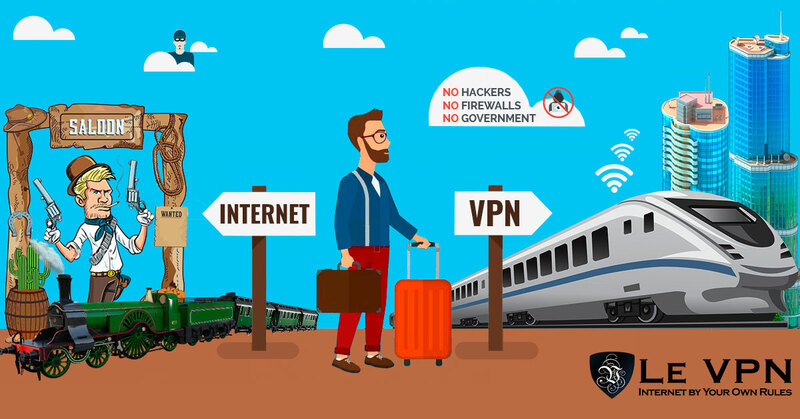 In our blog, we keep on discussing what is VPN and its benefits. Le VPN is one reliable VPN service provider in the market today. Once you connect to a VPN, you can change your IP address. You will use Le VPN’s IP address. Thus, no one can know your original location. You will be able to access whatever websites you want. And that too without the fear of being caught. Installing and using Le VPN is pretty simple. Additionally, Le VPN is very affordable. Subscribe today!